Poetry in Hell is a web site dedicated to the poets, both in the Warsaw Ghetto and elsewhere whose poetry, under the leadership of Emanuel Ringelblum, was secretly collected by the members of the “Oneg Shabbat Society“, preserved and buried in the Warsaw Ghetto during the Nazi occupation. You might also like to study additional introductory material by Dr. Samuel Kassow and Dr. Michael Berenbaum, as well as the Author’s Note. 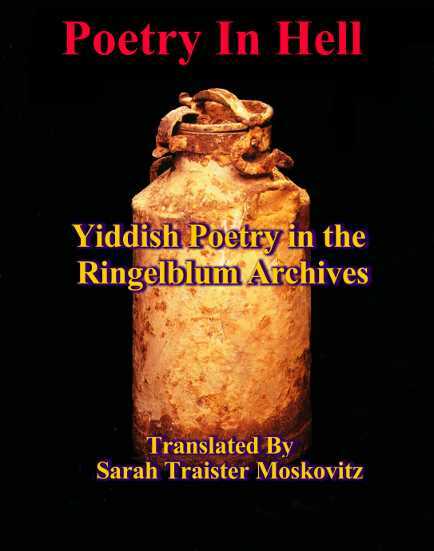 We also provide a series of articles by eye-witness Rachel Auerbach on how the Ringelblum Achives were collected, deposited, unearthed, and restored.